- Optimum breathability: Designed to maximize breathability and lightweight, for optimal moisture management and humidity transfer. Built for intense activity or warm weather. Not built for extremely cold weather. - Pertex MicroLight RipStop: Made of microfibers for its high-tech protection, including windproof, water resistance and compressibility. Its Ripstop structure adds abrasion and scuffing resistance for maximum durability. 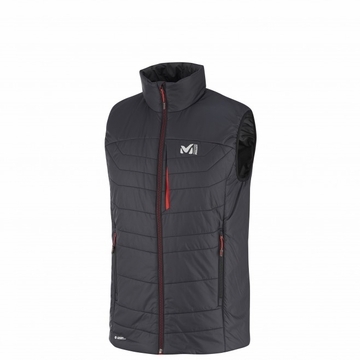 - Primaloft: High quality thermal pieces deliver efficiency using Primaloft insulation. Primaloft� is a lightweight and water resistant, breathable material that will keep you warm and dry, even in the foulest weather. - Regular Fit: Comfort in action and maximum freedom of movement."